* ARIELLE ESSEX delivers practical core essentials for dealing with the mind in times of illness to help maximise well being from the inside out. 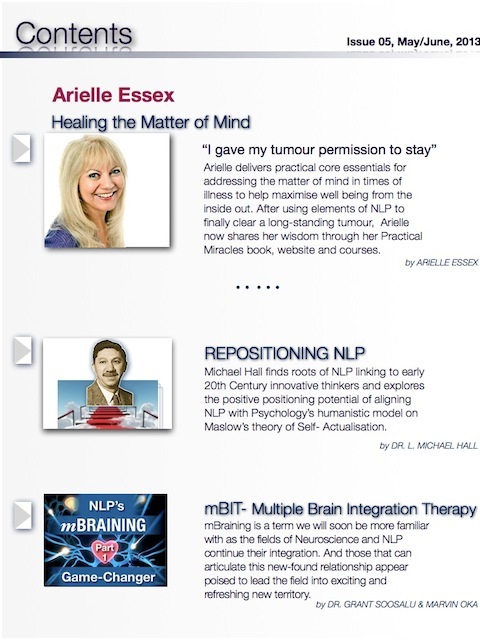 After using elements of NLP to finally clear a long-standing tumour, Arielle now shares her wisdom through her Practical Miracles book, website and courses. * DR. L. MICHAEL HALL finds roots of NLP linking to early 20th Century innovative thinkers, and explores the positive market positioning potential of aligning NLP with Psychology’s humanistic model on Maslow’s theory of Self-Actualisation. FREE Profiling tool. 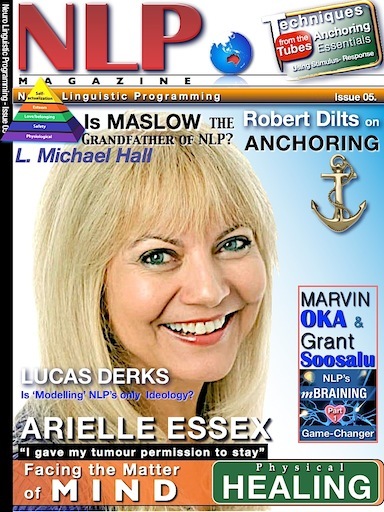 * MARVIN OKA & GRANT SOOSALU introduce mBraining – a term we will soon become more familiar with as the fields of Neuroscience and NLP continue their integration. And those that can articulate this new-found relationship appear poised to lead aspects of the field into exciting new territory. * MODELLING? LUCAS DERKS questions the notion that the only core ideology of NLP is the modelling process and introduces some other factors that may have bearing on our perception of the field. 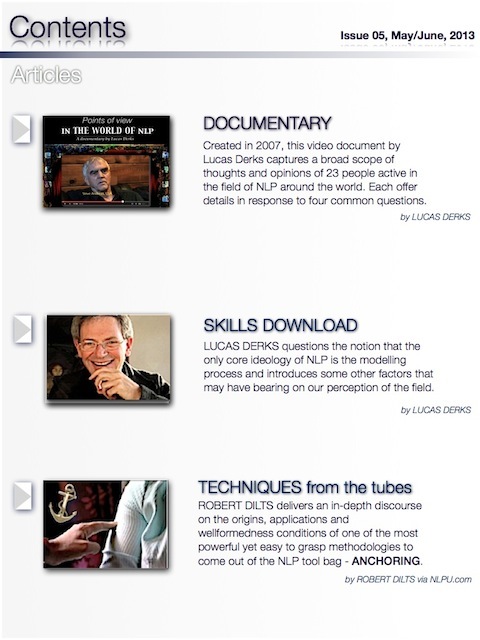 * NLP DOCUMENTARY: Created in 2007, this popular video document by Lucas Derks captures a broad scope of thoughts and opinions of 23 people active in the field of NLP around the world. Each offer details in response to four common questions.